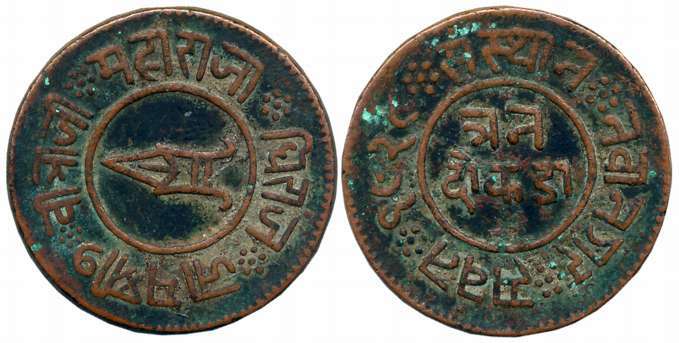 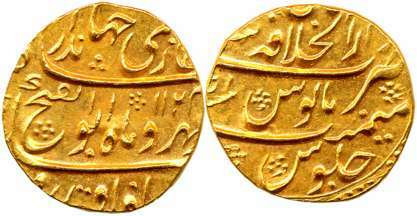 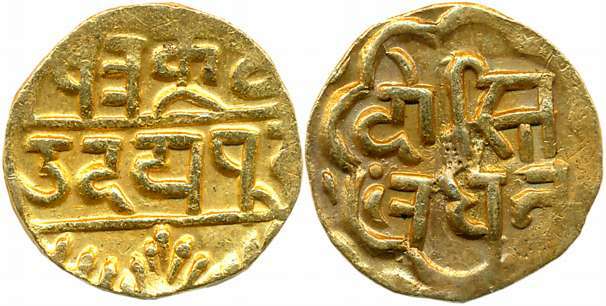 Shah Shuja al Mulk, Gold Mohur, 11.08g, 2nd region, Bahawalpur Mint, AH 12(18)/ RY Ahad (KM# 255). 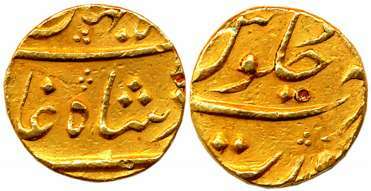 Full dotted circle, complete mint name on bottom of reverse. 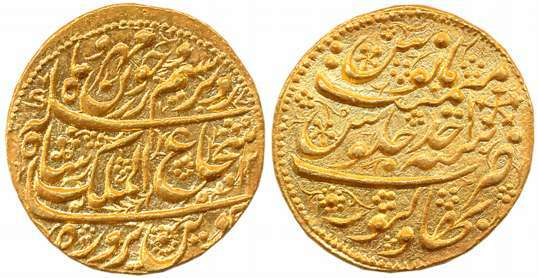 About uncirculated, rare.